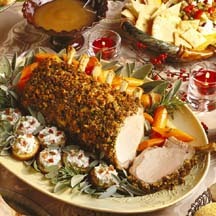 CooksRecipes has quality, kitchen-tested recipes for special occasion and holiday-worthy pork roasts. 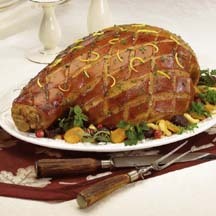 Find recipes for leg of pork, rack of pork, crown of pork and pork rib roasts that you can count on for successful deliciousness. 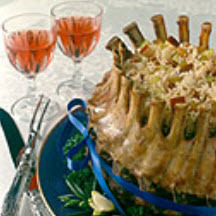 Crown roast of pork makes a stunning centerpiece for a holiday or special meal. Wow your guest with this deliciously easy rack of pork. This surprisingly simple dish will steal the show at your next holiday gathering. Fresh leg of pork is a richly-flavored roast that will let you feed a houseful of hungry guests effortlessly.